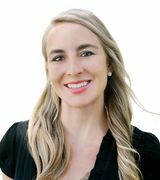 Amber Johnson began her professional Real Estate career in Durango in 2000 after completing her BA degree in Humanities at Fort Lewis College. Amber excels at helping clients comfortably navigate the process of a Real Estate transaction. For her, Real Estate isn’t just about getting the deal done, it’s about creating lasting relationships and serving the interests of all those involved. Amber is a land professional and has an extensive background in understanding the complexities of ranch and land properties as well as a comprehensive understanding of residential sales. She strives for excellence in all areas of her life and business, which shows in her commitment to offering her clients excellent service with knowledge and integrity. Amber has strong ties to Durango, Colorado. She was raised in Durango and comes from a ranching family that settled in the Mancos River Valley in the 1940s. She is an outdoor enthusiast and grew up exploring the mountains of the Southwest on horseback. An avid mountain biker and hiker, Amber is deeply inspired by the beauty of the Southwest and feels grateful to be living in such a wonderful community. She is a passionate advocate for the health and well-being of the local economy and is currently serving as Vice President of the Board of the The Garden Project of Southwest Colorado. Her family ranching background has given her a deep appreciation of local agriculture and sustainable food sources. Land conservation, ranching, sustainable agriculture, and preserving as much open space as possible while still accommodating the growing demand for development, is of great interest and importance to Amber. She believes much of the beauty of the West lies in its wildness.